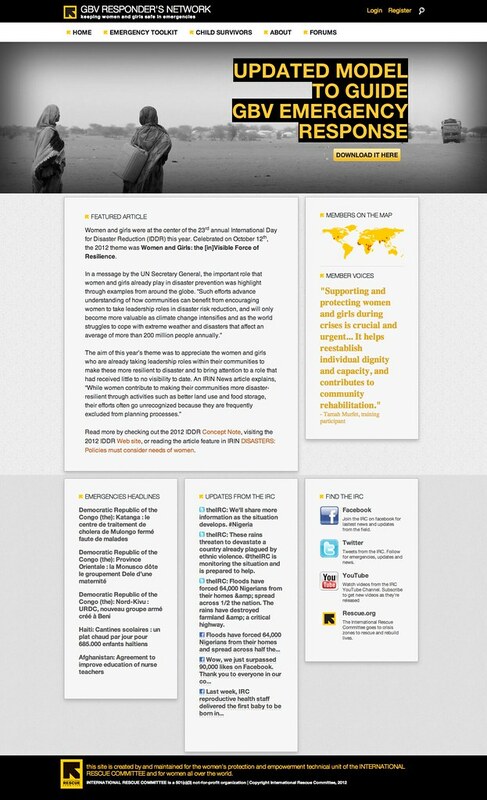 The International Rescue Committee established the Gender Based Violence Responders’ Network to support trained responders over time, provide critical resources, facilitate dialogue and capture shared learning. The site has been online for a few years and was due for a visual and functional upgrade. The design was done by Corey Hall. Implementation by myself.